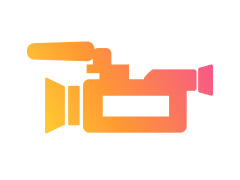 ARC is seeking an experienced and passionate Videographer. This is a unique opportunity to be a strong contributor to the Marketing Department of a technology company, with a wide spectrum of products. In this role, you will own and drive all aspects of video production with the support of our creative team. We are looking for someone who has experience in filming, editing, audio, special effects and story telling. Capturing customer stories, product overviews, training videos, business overviews and creative fun segments are some of the types of content you will create. This position is full-time and requires attendance at our headquarters in San Ramon daily. * Operate professional video equipment including cameras, lighting, audio, etc. * Assist in coordinating production and logistics of shoots.